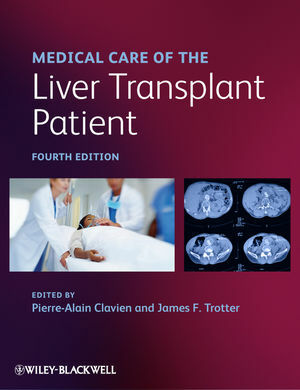 This book builds on the success of previous editions, once again providing hepatologists the most current clinical guide on how to best treat the liver transplant recipient. With an international mix of experienced contributors, this new edition highlights initial indication and selection of the potential recipient, management of the donor organ, post-operative complications in the patient through to acute recovery, long-term follow-up, and continued health. This provides the user a complete guide to the correct clinical management of both the recipient and the donor organ through all stages of transplantation. Professor Clavien is a world-wide renowned surgeon-scientist, currently professor and chairman of the Department of Surgery in Zurich, Switzerland. His areas of research include organ preservation, liver ischemia-reperfusion injury and regeneration, and pathogenesis of cancer, as well as outcome research. He received many competitive grants and awards, including one of the most prestigious prices for scientific research, the Otto Naegeli Award. Dr James Trotter is the Medical Director of Liver Transplantation at Baylor University Medical Center at Dallas. Dr. Trotter's primary interests include end-stage liver disease and the management of liver transplant candidates and recipients. Dr. Trotter specializes in hepatitis C, ascites, complications of portal hypertension, including esophageal varices and hepatic encephalopathy. He also has vast experience in the management of medical complications after liver transplantation including immunosuppression in liver transplant recipients and the treatment of hepatitis C before and after liver transplantation.